We have many years experience of Counselling in the NHS, and for charities, as well as privately. We have all had extensive training, but as you read on you will see that we also have different backgrounds and interests. 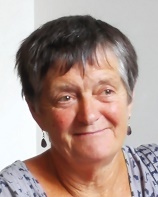 "I am an experienced Counsellor who has worked in the NHS and private practice since 1998. I have extensive experience of helping people with a wide range of problems and difficulties at all stages in life. I use several different counselling models and adapt the counselling to meet the needs of each person I see. My qualifications include a Degree in Education, a Diploma in Counselling, and a Diploma in Therapeutic Pastoral Counselling. 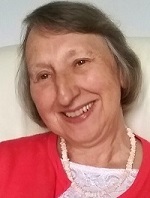 I am also a Registered and Accredited Member of the British Association for Counselling and Psychotherapy and I am based in the Matlock area." "I have worked as a Psychologist in Sheffield, and as a Counsellor in primary care in Sheffield and Derbyshire, since 1996. I offer Counselling and Stress Management, and I have a specific interest in grief and loss. I have	extensive experience of working with carers, with parents, with young people, and with people with disabilities. My qualifications include a Degree and a Masters degree in Psychology, a Masters degree in Educational Psychology, a Diploma in Counselling, and a Certificate in Groupwork. I work in Hope Valley, Bakewell, and New Mills." "I have worked as a Counsellor since 1996, mainly in doctors' surgeries, but also for Relate, and privately. I have taught trainee counsellors, and I have extensive experience of working with people from many diverse backgrounds, individually and in couples. My qualifications include a Degree in Psychology, an Advanced Diploma in Therapeutic Counselling, a Relate Certificate in Marital and Couple Counselling, and a Certificate in Counselling for Depression. I am also a Registered Member of the British Association for Counselling and Psychotherapy and I am based in the New Mills area."